October saw the return of London’s friendliest art fair, welcoming art lovers, art connoisseurs, and art novices alike to discover affordable art by thousands of artists under one roof. 112 participating galleries come from all over the UK and abroad, bringing their choicest selections for you to browse, buy, and enjoy. 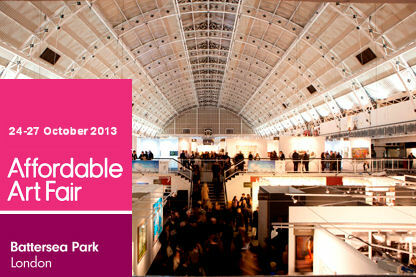 I was very pleased to be exhibiting once again at this autumn’s Affordable Art Fair with Avery-Contemporary-Art. My work was at the A-C-A stand, along with the work of Kaija Bulbrook, Jane Ceridwen Gray, Jennie Jewitt-Harris, Rachel Lovatt, Kate Schuricht and Will Taylor. The fair is an exhilarating event for exhibitors and visitors alike and we had a wonderful time. In October 2013, I had the privilege to exhibit with the Avery GAllery at the London Affordable Art Fair, Battersea.